My MLIS is now on the OpenUCT repository (Data archiving, management initiatives and expertise in the Biological Sciences Department, University of Cape Town). Researchers produce large amounts of data during their research investigations and have a variety of interventions for the management of these data. It has not been the responsibility of academic institutions to manage research data, this responsibility has resided with the researchers and their research units. This investigation attempted to understand how pre-digital, early digital and current digital research data in the Biological Sciences Department at the University of Cape Town had been and is being managed, if researchers had archived any of these data and what their opinions were on sharing their research data. Long-term ecological data are an important component of research in the Biological Sciences Department as researchers wish to understand ecosystem changes such as climate change, the spread of alien species and the impact of humans on land and marine exploitation. It is consequently critical that research data, past and present are properly managed for future research so that meaningful management decisions can be made. Research Data Management and the Research Life Cycle are phrases that are very much in the literature at present as librarians and university administrators grapple with the task of implementing data policies and data repositories. The literature review revealed that although the University of Cape Town may be a somewhat behind other international institutions in engaging with Research Data Management and repositories, investigations have been ongoing in other parts of the world and in the international community the groundwork has already been done. Research data have been the preserve of researchers and they are reluctant to give up control of their hard-earned data, usually the result of hours spent on funding applications, and field or laboratory work. Data sets of sufficient quantity and quality to answer research questions can take a researcher a lifetime to accumulate and they understandably do not wish to make these openly available without the insurance that their work will be acknowledged. The findings of this research project revealed that in the absence of systematic data management initiatives at institutional level, researchers had preserved many long-term data sets and in some instances were archiving with international repositories specific to their data types. The findings resulted in a range of suggested interventions for the support of Research Data Management at the University of Cape Town. Digital Curation Exchange: this site is designed to provide an environment in which you can engage with a rich digital curation community. More than just a resting place for materials, DCE serves as a starting point for discussions on topics about and for digital curation. Geospatial Data Preservation: The Geospatial Data Preservation Resource Center is a project of the National Digital Information Infrastructure and Preservation Program (NDIIPP), which is working with a national network of partners on a strategy for preserving digital information for use in the future. DPHEP: Study group on data preservation and long term analysis in high energy physics – High Energy Physics experiments initiate with this Study Group provides a reflection on data persistency and long term analysis in order to get a common vision on these issues and create a multi-experiment dynamics for further reference. This educational and entertaining youtube clip: Data Sharing and Management Snafu* in 3 Short Acts, is a data management horror story by Karen Hanson, Alisa Surkis and Karen Yacobucci. This is what shouldn’t happen when a researcher makes a data sharing request! Topics include storage, documentation, and file formats. 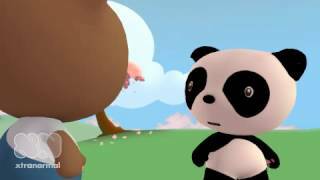 Although an animation, and using two bears capable of only robotic voice and minimal facial expression, the shock portrayed when realising that the requested data is not readily accessible, not backed up, not in a present-day format, and that the co-author cannot be traced, is cinematographic excellence! *snafu: Situation Normal, All F###ed Up – Things are running normally. A well-known military term.